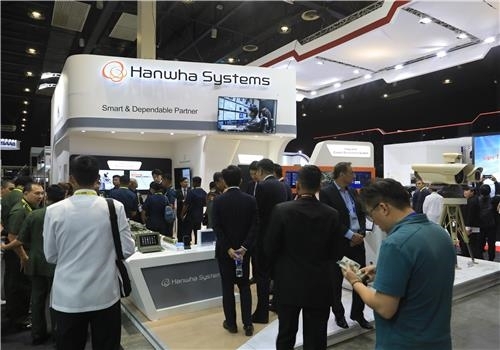 SEOUL, Sept. 26 (Yonhap) — Hanwha Systems, a South Korean defense company, said Wednesday it is showcasing its warship combat systems and integrated surveillance patrol solutions at an industry fair in the Philippines this week. The company is participating in the biennial Asian Defense & Security (ADAS) 2018, which runs from Wednesday to Friday in Manila, as part efforts to advance into Southeast Asian arms markets. The company is affiliated with energy-to-chemical conglomerate Hanwha Group.